So why is this happening? And who is at risk? In this three-part blog series, Prelude will explore the crisis in depth, looking at who is vulnerable, and how Iowans can find effective, medically accurate treatment that addresses not only the physical needs of those addicted to opioids, but their mental health and emotional well-being. We begin our series on opioid addiction by zoning in on one segment of our population particularly vulnerable to opioid abuse: teenagers and young adults. When thinking about the opioid crisis, a lot of attention has been focused on older adults struggling with chronic pain. But the opioid epidemic extends to young, healthy bodies too. Often, they are first exposed to opioids recreationally—not medicinally—just like other teens are exposed alcohol and pot. And among adolescents who develop an addiction to opioids, almost all of them start as recreational users. 90% of addiction begins in adolescence, reports the National Center on Addiction and Substance Abuse. And according to Clinical EEG and Neuroscience, early drug and alcohol abuse (prior to full brain development, which happens in the mid-twenties) increases the risk for addiction later in life. 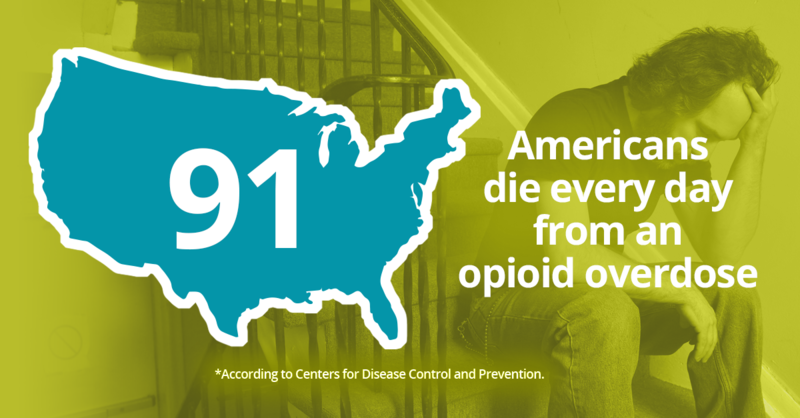 Recreational use can also expose teens to more harmful, deadlier type of opioids like heroin and fentanyl, putting them at greater risk of fatal overdose. The sheer number of Iowa teens we see pouring into our emergency rooms should be a wake-up call for every Iowan. Not only do we need to provide these teens with medically accurate, quality treatment—we need treatment that takes into account their biological and emotional development. Because even though we view addiction as an “adult problem”—treating teens with addiction the same way we treat adults doesn’t yield the same effects. Currently, only about one in 12 youths who need treatment is receiving it, according to SAMHSA. And out of those who are, only one in three will stay in treatment through recovery. 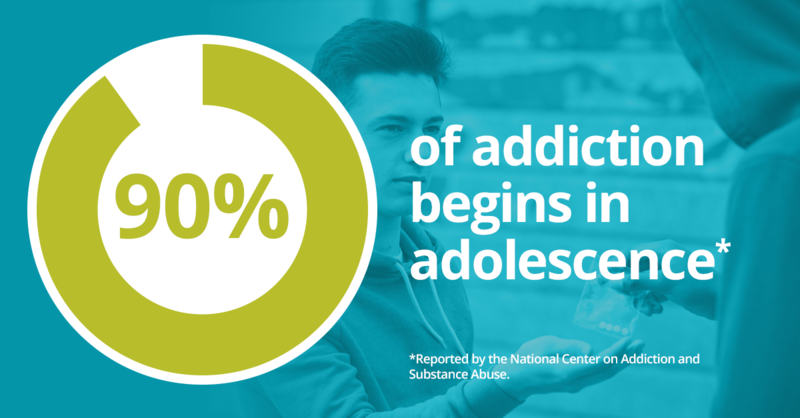 One way to increase the number of teens who receive and stay in treatment is by providing an evidence-based approach to treating addiction. Treatment should also include a mixture of individual behavioral counseling, as well as therapy that involves the patient’s parents and family. Regardless of your age, at Prelude, all treatment plans are created with the individual in mind. We work with individuals and their families to ensure patients receive the right mix of treatment so they can not only put an end to their substance abuse issues, but find long-lasting success in recovery. If you or your child is struggling with opioid abuse—don’t wait for things to hit rock bottom before you act. Take the steps needed to stop the addiction now and prevent it from following your child into adulthood.